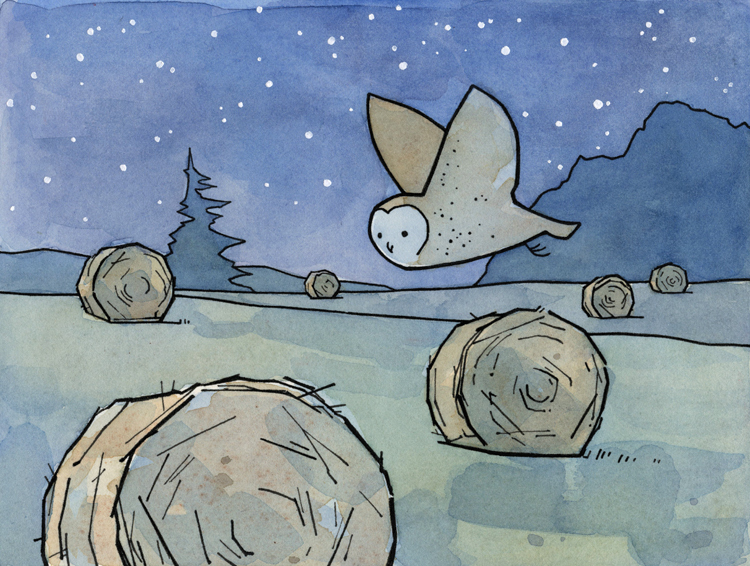 A cozy illustration of a Barn Owl flying over a field of haystacks. I spent a full day drawing owls yesterday and this is the first of a few. More soon. LOVE this one! Reminds me of the field, owls and farm up the road from our house. Must be pretty! I got the idea for this one driving past a farm in New Jersey. Yep, right over the river in PA. Love the subtle colors in this one. Thanks! I would love to see one in the wild!